Image Size:- 5 x 6.5 ins. 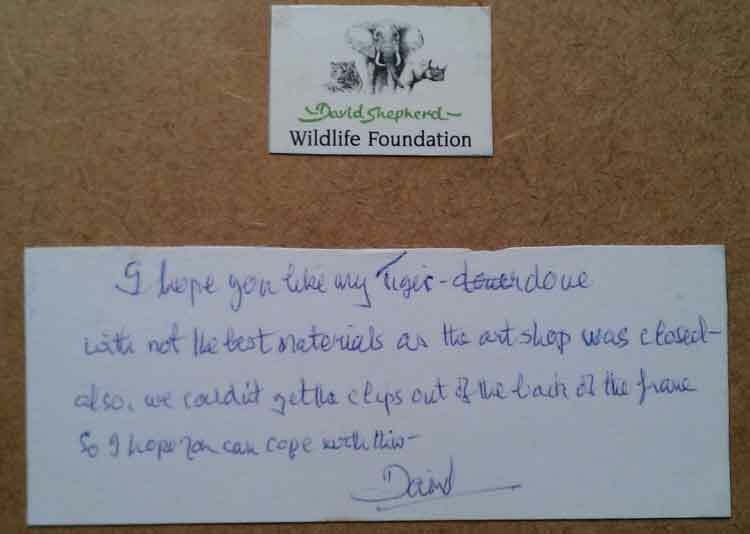 This an excellent pencil 'tiger's head' sketch by David Shepherd. His pencil drawings are becoming increasingly rare. 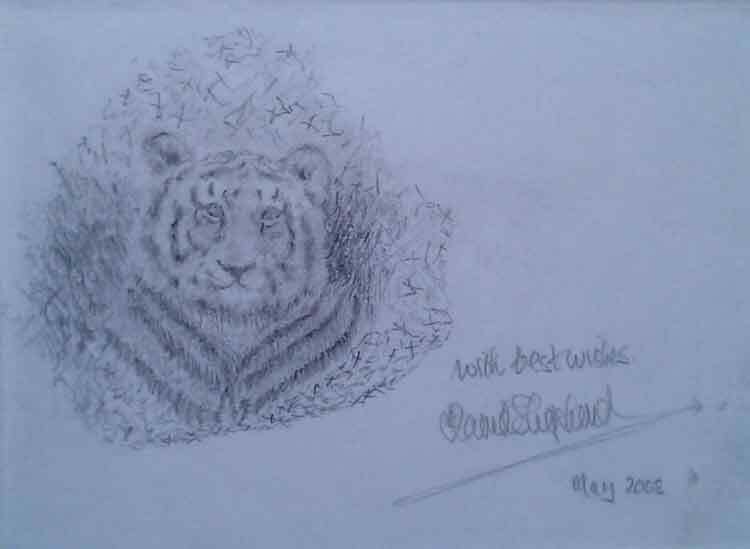 and the subjects that tend to be the most sought after are paintings and drawings on Elephants and Tigers. His work as a conservationist has led to meeting many prominent figures throughout the world. A small tiger painting by David Shepherd resided in the drawing room of The Queen Mother. Price, please call 01623 799 309.